After a good night’s sleep, we showered (did I mention it’s a great shower with lots of classy toiletries!) and headed down to the restaurant for breakfast. Breakfast was buffet style with extras, such as our favourite Eggs Benedict. Jon was very excited to discover both crispy and soft bacon and, not being able to decide between which one, he simply piled his plate high with both. After breakfast, instead of joining the included shore excursion, we opted to continue exploring the city independently. So with new friends, a Hong Kong/Taiwanese couple from California, we headed first to the Great Synagogue, the second largest Jewish synagogue in the world. 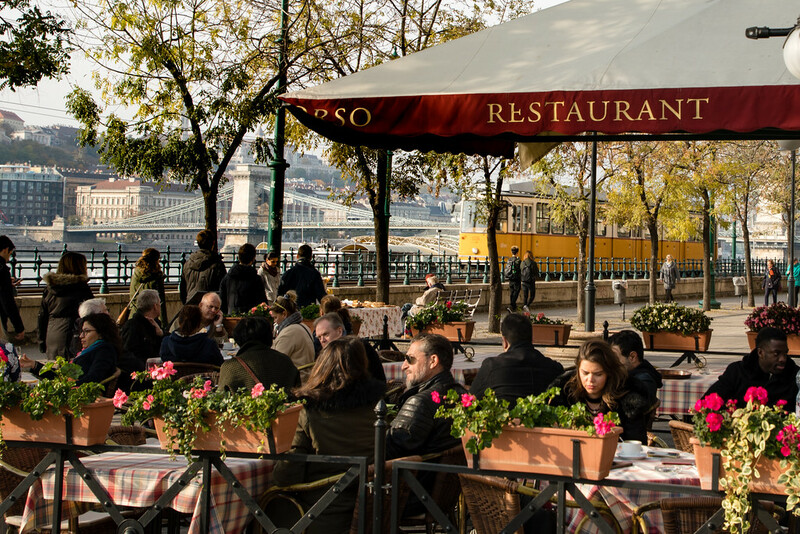 Not really that long ago, Budapest had a thriving Jewish community, but during World War II, more than half of the city’s 250,000 Jews were murdered. Just next to the Synagogue, a Holocaust Memorial stands over the mass graves of those killed by the Nazis in 1944-45. 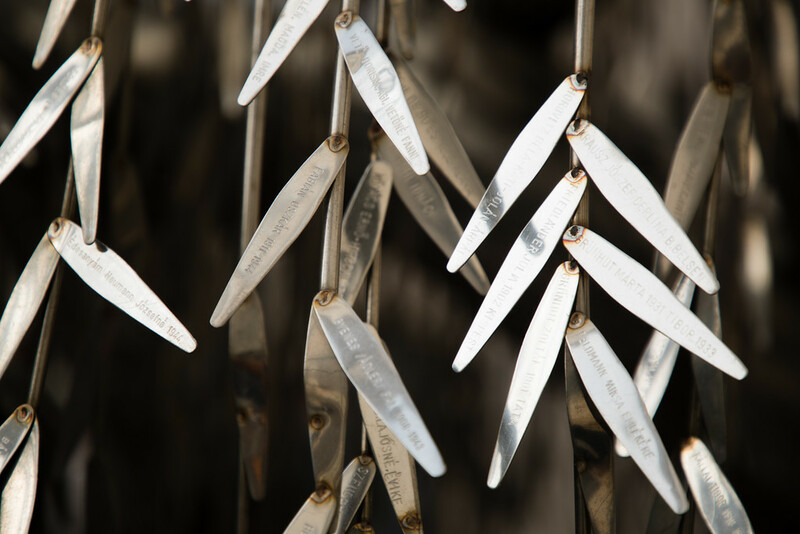 In the garden stands a metal ‘tree of life’, where the names of the victims are inscribed on the leaves. From here, we jumped in a taxi (was it that expensive or were we overcharged?) 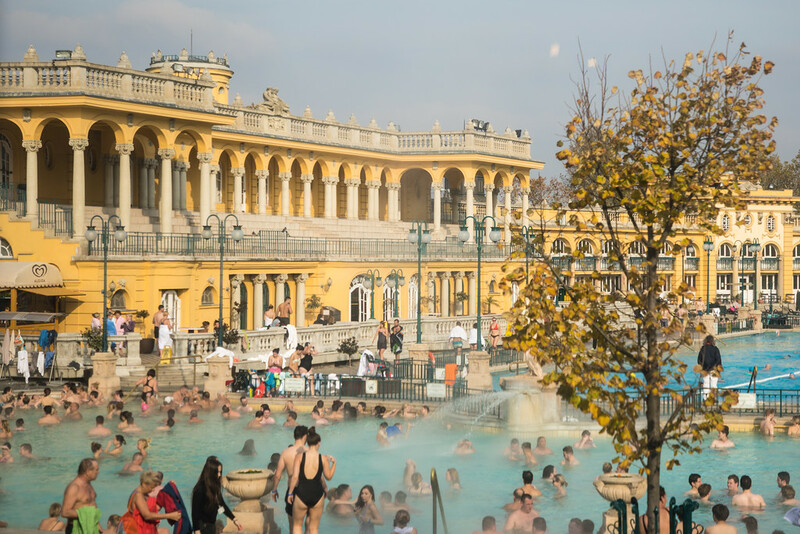 up to Heroes Square, then strolled through the city park to take a peek at Széchenyi Baths – one of the more popular of the thermal baths dotted around the city. After a long stroll, we took the considerably cheaper subway (the first one on mainland Europe, built in 1896 ) back to the boat, stopping off to spend our last few Hungarian forint in the souvenir shops. We arrived back on the boat too late for lunch (and still stuffed from breakfast), we spent our final hours before leaving Budapest just relaxing in the lounge admiring the view, drinking Earl Gray tea (me) and working his way, slowly, through the beer menu (Jon). At 6 pm prompt, as we stood on the top deck with a glass of champagne in hand, with the sound of church bells and operatic music, we set sail. Our final views of Budapest were of the beautifully lit Chain Bridge and Parliament. 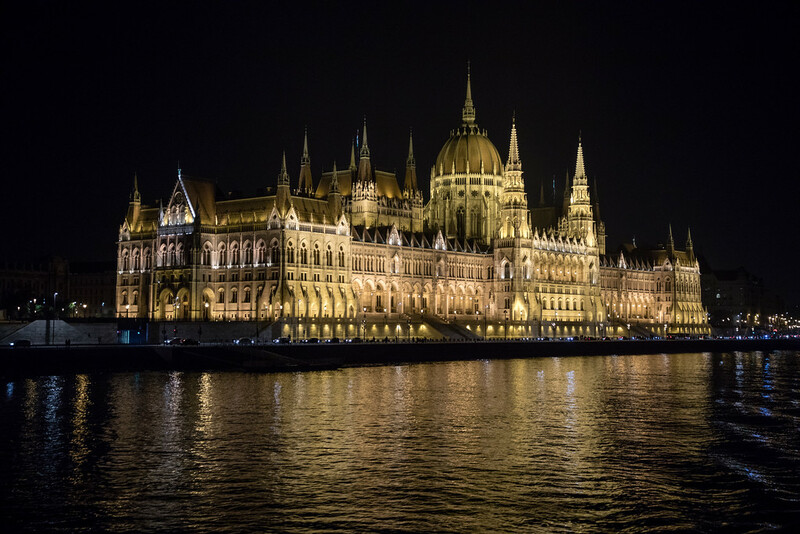 As Budapest receded into the distance, we headed back downstairs for dinner – unable to decide between the Chateaubriand or the scallops, the staff created a special surf and turf combo for Jon, so he got both! Meanwhile, I (being the good one) enjoyed a fabulous mushroom vegetarian dish. A couple at our table were celebrating their 45th wedding anniversary, and for dessert, the crew bought a yummy cheesecake for the table and tunelessly sang a happy anniversary song. A lovely evening with new friends but our comfy bed was calling us; it was time to call it a night. 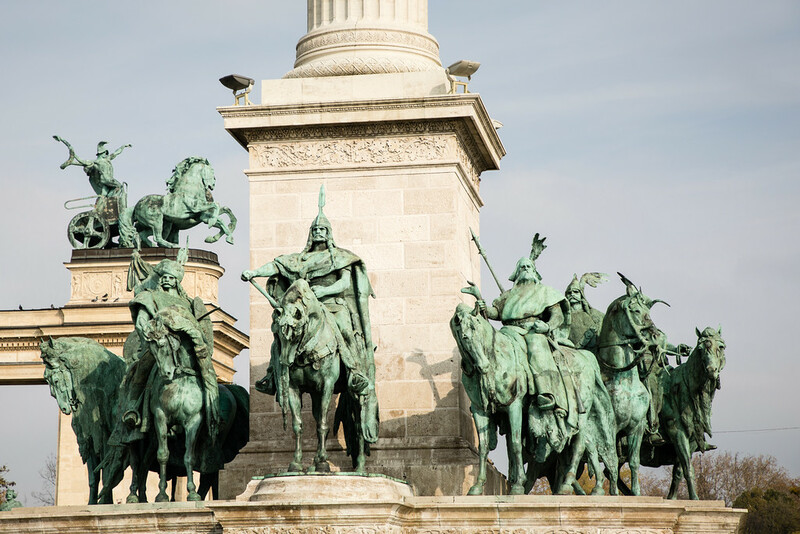 Budapest, WE WILL BE BACK! Like Jon, I too can never decide what to have on a menu, which gives me the option of course of trying everything ? I shall follow the rest of your cruise with interest. Thanks Michael! We are really having a good time. As I have this (our 2nd Viking Cruise) trip planned and booked for 2020, I am savoring each day slowly, I am getting more and more excited with each blog, post or v-log I find on this cruise. Thanks for great descriptions of your travel. Thanks April. We truly loved the experience. We are also hoping to take another Viking Cruse soon.